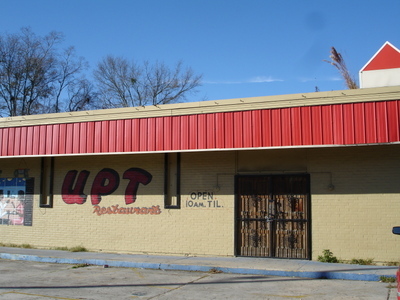 First up we have UPT Restaurant, otherwise known as Matrixx Restaurant and Tavern. Open 10 AM. Til.... Til when? There's not even a question mark. But I think we know the answer. Open 10 AM. Til not anymore.